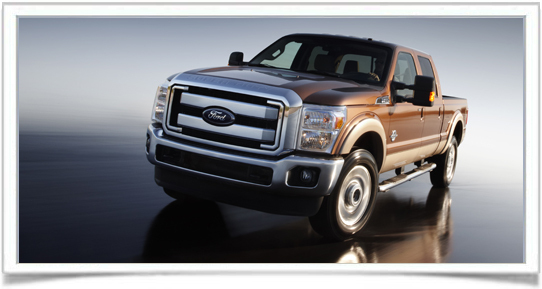 When you’ve got a big load to haul or need to tow a trailer or boat, you may be interested in these best heavy duty pickup trucks – 2011. When it comes to who builds these all-purpose, super-tough full-size pickups, there are really only four major players: Ford, Chevrolet, Dodge, and GMC. 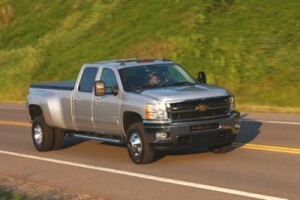 in the many varieties of Chevrolet Silverado HD pickups for 2011. These heavy-duty pickups are so capable and impressive that Motor Trend named the 2011 Chevrolet Silverado HD 2011 Truck of the Year. Motor Trend editors comment: “In the heavy-duty truck world, capability is most important…[Chevrolet Silverado HD] is faster than the Super Duty – whether gas- or diesel-powered. It provides a nicer ride, better handling, better on-road feel, and better observed fuel economy – all at as-tested prices that were lower than the Fords’ by as much as $13,000. The trucks in this category may be expensive, but the Chevrolet heavy duty line offers a value that’s tough to ignore.” The 2011 Chevrolet Silverado HD is available in 2500HD and 3500HD. Starting MSRP for 2500HD is $28,315, while the 3500HD begins at $29,155. Maximum towing with 2500HD diesel is 17,800 pounds. In the 3500HD, max towing is 21,700 pounds (diesel).